BTURN’s Focus on Balkan Music: So You Like to Dance? The world’s music scene is firmly moving toward the electronic, even in areas that most listeners wouldn’t expect it. In what is perhaps the biggest shift toward electronic music since the early 1980s, genres from punk rock to mainstream pop are embracing synth elements and danceable beats, much to the delight of party-goeers around the world. To say that the Balkans specialize in this area would be to greatly underestimate the region’s love of nightclubs, electronic music, and a very Eastern European style of partying. BTURN’s most robust section of content is its music section, which focuses on the areas DJ’s sound artists, and rock bands, as they emerge from a culture of conflict and become some of the driving cultural forces of Eastern European media. It’s no secret that the Balkans are one of the best places to find new and innovative electronic music. Serbia alone has some of the most popular DJs on the continent, and has become a leading pioneer in an entirely new genre of music entirely. Known as “sound art,” the country’s most popular DJs are those who manage to turn beats and miscellaneous sounds in to enjoyable pop music. Their songs practically dominate nightclubs throughout the Balkans and all of Eastern Europe, and the genre has begun to spread into more developed pop culture centers, like the United States, Australia, and portions of Western Europe. BTURN has ability to promote this genre, and tell the world about industry-changing Serbian DJs and those from other Balkan countries, is its biggest strength. The website is working tirelessly to achieve wide-ranging notoriety for the music scene, and visitors from outside the region will get lost in its endless music reviews, artist biographies, and the other articles it regularly posts within the music section of the website itself. Music and technology have always been tightly linked, but that’s even more true in a region that prefers electronic music to virtually any other genre. 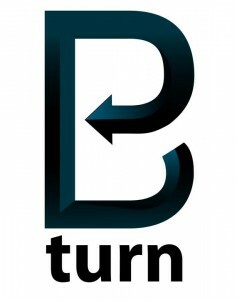 To that end, BTURN has developed its own sub-section of technology news that is targeted directly to the region’s citizens. The website’s articles are focused on putting a distinctly local spin on technology, showcasing Yugoslavian computers from a bygone era and telling the story of local DJs who have embraced smartphone and computers to enhance their trade. Of course, the obligatory articles about the future of electronic reading, the destiny of the smartphone, and the utility of the common tablet device, are all present on the site. After all, the Balkans are an economically up-and-coming region; the area’s residents need to be informed when they buy their first tablet or smartphone. The great thing about BTURN is that its focus isn’t solely on the hard news that impacts the local music and technology industry. Indeed, the website maintains its own listing of local events hosted by musicians, artists, and others in the cultural trades. That helps local Balkan residents get the most out of their nights and days, and it helps attract tourists to electronic media shows and the hottest clubs throughout this growing part of the world. Events listed on the website eventually get added to the company’s sections of news, as the writers who work behind-the-scenes review each event and describe it in detail. For Balkan locals, it’s a great way to summarize a night out. For those who live outside the region, it’s an excellent way to drive tourist traffic and build interest in the local art, music, and cultural scene. As if news, reviews, and a listing of local events weren’t enough, the staff behind the BTURN website also operates a regular podcast focusing on the area’s arts and culture. The podcast primarily focuses on the music of the region, leaning toward DJs and electronic music artists. Because the podcasts are able to talk bout local artists, and then immediately play a good example of their work, it’s one of the easiest ways for those around the world to broaden their horizons and learn more about artists local to countries like Serbia, Bosnia, Kosovo, and others. The podcasts can be enjoyed on the website itself, without an iTunes subscription, or enthusiastic visitors can subscribe to the regular updates through iTunes for convenient listening on the go. That commitment to ease of use is one of the website’s secret ways of pulling in new traffic and cultivating repeat visits. Perhaps most poignant of all is the website’s slogan: “Music, Culture, and Style of the New Balkans.” The use of the word “new” is perhaps the biggest statement that the website’s authors and administrators could make. Big things are going on in this oft-overlooked part of Europe. From its rising DJs to entirely new electronic music genres, the Balkans are claiming their part of the world’s cultural awareness. Refreshingly, there is at least one website there to document the whole process. 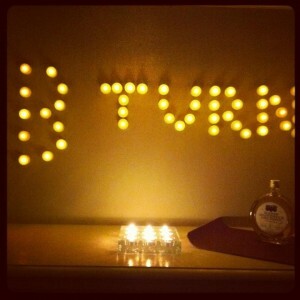 Those electronic music enthusiasts who are looking to discover an entirely new set of DJs and performers need look no further than BTURN. And, with a well-rounded website that focuses on technology, artistry, and sociopolitical news, those who take an interest are bound to learn a lot more about the region. And they might be well-advised to use the website’s vast resources; after a few listens to the hottest songs, bands, and DJs in the region, most people will be checking their passport’s expiration date and booking a flight.